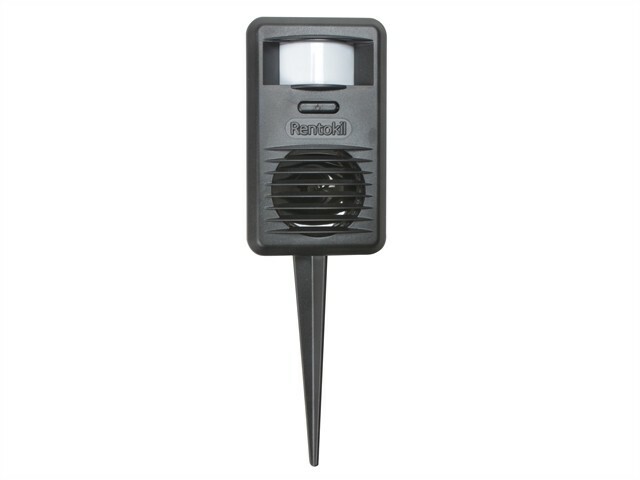 This Rentokil Ultrasonic Repeller is for the control of garden animal pests including cats, dogs and foxes. It operates day and night in all weather. Inaudible to humans, this deterrent has a detection range of 10m. It is weatherproof, easy to set up and to use. Part of Rentokil's safer range, this ultrasonic repeller is poison free. Made in the UK with a 2 year manufacturer warranty. Requires 1 x high-quality 9V alkaline battery.